Having a reliable airbrush is a fundamental prerequisite for any makeup artist who wants to add airbrush makeup to their skills. Actually, it is indispensable for anyone who is dabbling in this art even if only for personal use, as there is nothing more frustrating than a clogging airbrush preventing you from enjoying the wonderful results that the technique allows. If you are approaching airbrush makeup for the first time and you are thinking of building your own pro kit, or if you have bought a kit for personal use from one of several consumer oriented brands and the included airbrush is starting to "act up" on you, you may be confused as to what to choose from the relatively wide range of tools available from different outlets. You might have read about the double action versus "single action" (or rather continuous airflow) diatribe, and you might be wondering if you should go for a low cost or of for a top of the range instrument. Well, the answer to all your doubts is happily at hand and it is called Kett .25, a.k.a. 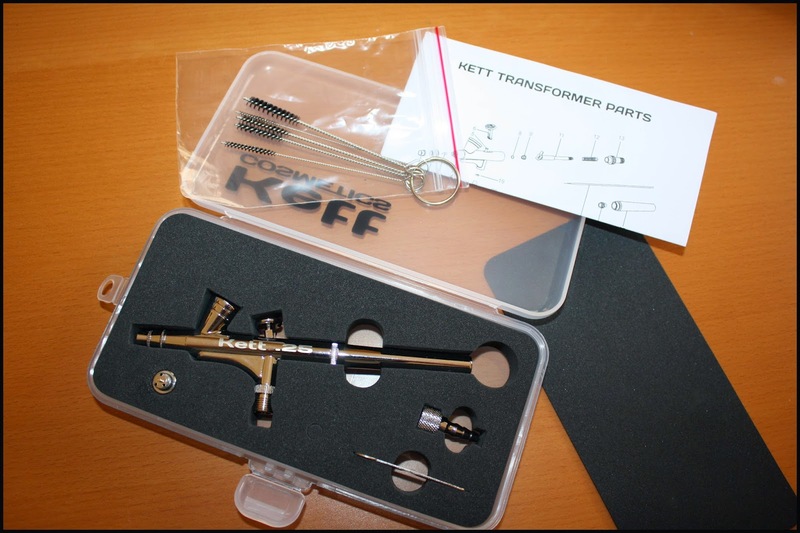 the Transformer Airbrush. If you have read these pages -or indeed if you have researched airbrush makeup at all- you know that Kett is one of the best brands out there, with a tradition of innovation and commitment to the highest standards for High Definition makeup. The Transformer is perfectly in line with these standards. 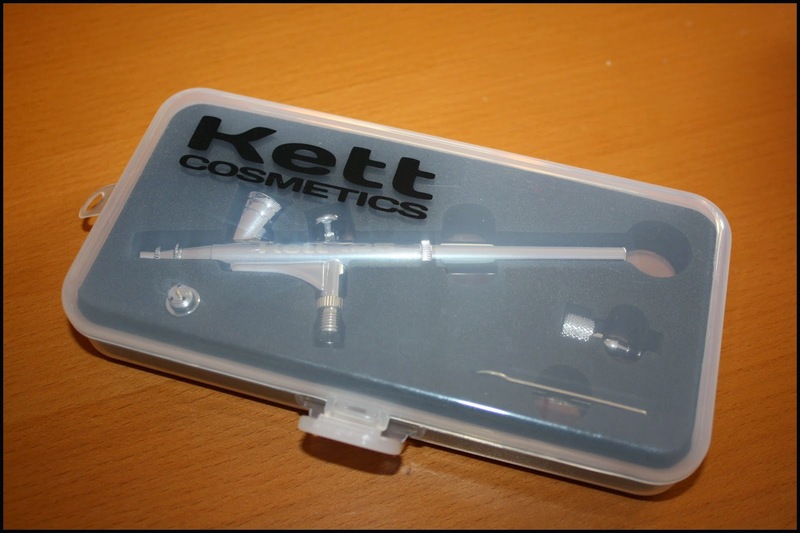 It is manufactured especially for Kett by Sparmax, the Taiwanese company supplying excellent airbrushes to the best makeup brands. The package assembled for Kett includes a stylish and useful box, a set of indispensable quality pipe cleaners (which are almost always sold separately and for a steep price by other companies), a nozzle wrench, a "plug in" hose connector and most importantly a spare double action valve, that you can easily switch with the already assembled "single action" valve to take advantage of this mode. The presence of both valves is what gives this airbrush its "Transformer" nick name, and it is a huge commodity. The .25 part of the name refers of course to the nozzle size, which is ideal for finer, more detailed work (although of course you can easily cover larger areas too). Another thing we greatly appreciate is the very honest pricing for this set, which considering all the accessories actually turns out to be cheaper at Kett than its general release version. And now for some impressions deriving directly from my experience. Please be sure to read our disclaimer in our About Me page. You've been warned. 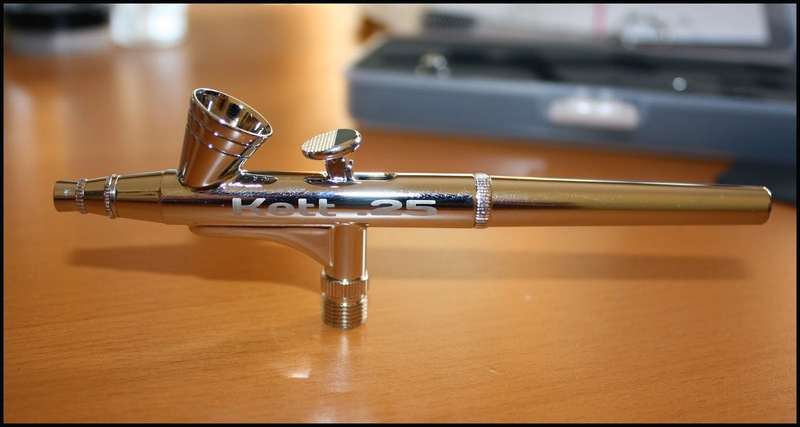 Let's go: I love this airbrush. I have used this little workhorse for just about any kind of makeup for over two years, with absolutely no major problems. It almost never clogs, and when it does, inevitably due to shimmers, it is quickly cleaned and back in action in a very short time. While it was chosen by Kett for its own highly praised water based makeup, I have also used it with silicone based formulas with no problems. Of course it is preferable to use larger nozzle sizes with silicone (such as the other airbrush offered by Kett, the also excellent .4), but in a pinch this will more than do. Moreover, thanks to its standard 1/8 ' fitting and its plug in connector it is absolutely compatible with any compressor that works within makeup's PSI range of 2 to 30 PSI. Yes, that includes consumer brands. I used it for years with my Dinair compressor, and it changed my whole experience of that brand for the better. So, I most definitely recommend this both as part of your pro kit and for home use. You can buy it through the Kett website, or at any kett retailer. If you live outside the US I would strongly recommend buying this at Camera Ready Cosmetics, who will ship it worldwide for the best and most honest price. che oggetto sofisticato!! come il risultato che da! I have a gun that is similar to this, but it is not this brand. Does ur gun come with an air filter? Whats the purpose of the air filter? Beautiful kit ! I would love to know how to use ! Our sit is best for best air compressor reviews. You may visit our sit and after visit you will say that this site is best for every kind of electric product reviews. And you will become a great follower of our site for electric product.